Christopher Hoeger is an Olympic athlete who competed in the luge for Venezuela during the 2002 Olympic Games held in Salt Lake City, Utah. He placed 31st (of 50 athletes). Hoeger was born on January 15, 1985, to Sharon and Werner Hoeger. His father competed with him in the same event at the same Olympics. Neither of them won a medal. 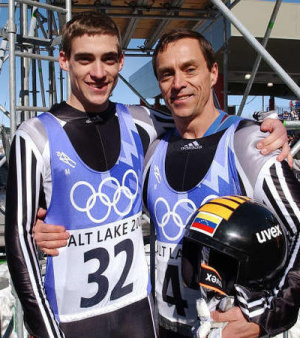 They were the first father and son to compete against each other in the same event at the same Olympics. He has competed in seven luge World Cups and one World Championship. Hoeger earned his bachelor’s and master’s degrees in chemical engineering from Brigham Young University, where he was also a research assistant. He is a senior research and development engineer in Orem, Utah. This page was last edited on 30 January 2017, at 20:26.